The slow carb diet is a new diet created by author and entrepreneur Tim Ferriss, and you might not have heard it mentioned very often – but this doesn’t mean it doesn’t have its place. 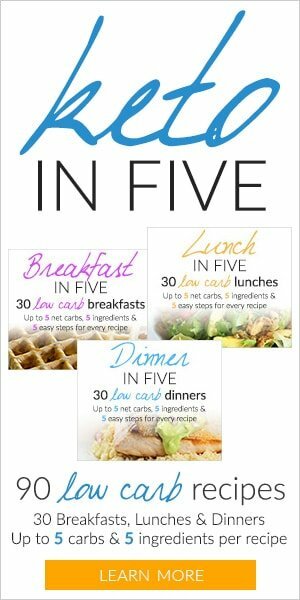 It is one of the basic concepts of his “The 4-Hour Body” book, first published in 2010, and it’s a diet that revolves around a few simple principles, including limiting certain carb sources, as well as avoiding dairy and fruit, and concentrating on eating enough protein (mostly from meat, eggs, and fish, although a vegetarian version of the diet is also possible), together with having lots of vegetables and some legumes. At this point you’re probably wondering – is the slow carb diet effective? Can it help you with weight loss? Will it promote better health? What are its limitations? 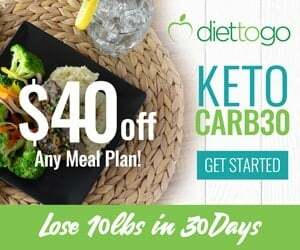 The slow carb diet has a few key principles that are relatively easy to implement – especially if you already have some experience with dieting. “White” carbs should be avoided – these are rice, sugar, bread, pasta, and other wheat products. Typically these foods contain carbs that are absorbed quickly, and provide little in terms of nutrition, apart from calories. Removing them inevitably forces you to make potentially better (and potentially healthier) choices about the food you’re eating. Naturally, all kinds of desserts (or anything with added sugar, really) and most processed foods are out of the equation. Another important principle is to not overcomplicate things – the slow carb diet aims to be an incredibly simple diet that, as a result, is easy to follow. And mostly intuitive, once you get the hang of it. Simplify food choices by eating the same meals over and over. Eating the same thing for breakfast and lunch, for example, solves the problem of needing to decide on and prepare different dishes for these two meals. Don’t drink your calories in the form of soda, juices, or alcohol. Dry red wine in moderation is ok. Diet soda in moderation (1 can per day) is also ok. The best type of drink, as with nearly all other diets, is plain water. On the slow carb diet, both fruit and dairy are a no-no. Fruit contains a fair amount of sugar (in the form of fructose mostly), and could therefore hinder weight loss by increasing the amount of fatty acids in the blood. Dairy, on the other hand, raises insulin levels, and is also not optimal during a weight loss phase. Cottage cheese is an exception, and you could have it from time to time. You can have one cheat day per week, during which nothing is off-limits and there aren’t any specific rules to follow – you can eat (and drink) whatever you like, including the foods that are typically not permitted. For convenience, typically the cheat day for most people is Saturday, although you can pick a different one if it fits your schedule better. The slow carb diet is oriented around getting enough protein in – 30 g protein for breakfast, preferably right after waking up (or within 30 minutes), and at least 20 g per meal, preferably more. If you eat less frequently, this would also mean that you need to concentrate on protein more. Eating slowly, for example for at least 30 minutes per meal, guarantees that you’re not stressed and rushed at mealtime, and that you have enough time to enjoy your food and listen to your hunger and satiety signals. Which is essential, given that the slow carb diet is not one in which you track macros or calories. Calorie-dense foods, such as nuts and hummus, for example, might not be ideal for weight loss, as they pack a lot of calories in a relatively small volume. You might want to limit these if your goal is weight loss. Fried foods are also typically high in calories, and often have a breading that’s made of flour or bread crumbs, and neither are allowed on the slow carb diet. Snacking is discouraged on the slow carb diet – instead, eat a few satisfying meals, and eat to satiety. If you’re hungry, you’re better off waiting until your next meal – of course, within reason. The point is not to become obsessive and restrictive about your diet, the point is to avoid snacking because of boredom or stress. And given that it’s a diet where you eat to satiety and don’t track macros, you’re not very likely to need any snacks anyway. Canned or frozen foods are also okay, as long as they are from the list of allowed foods. Additionally, meat, although recommended, is not an absolute must – if you’re vegetarian, you can still follow the diet. During your cheat day (which should be once per week) you can still have these. The slow carb diet seems to be a rather sensible eating plan that might be particularly beneficial for people whose diets are overall too high in calories from processed carbs, while not being very nutritious. As it concentrates on getting enough protein and eating slowly absorbing carbs, it will promote a natural feeling of satiety on a smaller amount of food (calorically-wise) than if you’re eating all kinds of high-carb processed junk food and desserts. Here’s an overview of its pros and cons. Getting enough protein in is essential for the proper functioning of your body and for preserving your lean mass while feeling satisfied with the food that you’re eating. It’s a successful strategy for any kind of diet, really, and you might have noticed that it’s one of the basic principles of most diets. This makes it easy to follow. This is also very useful when you’re just getting started, and don’t want to spend ages on researching your new diet, but just want to start following it. Meat, beans, veggies are all very nutritious and filling, so it won’t be easy to overeat on these. Given that you have a weekly cheat day, it’s a diet that allows you to remain flexible and, if you wish so, you can still satisfy your cravings. Eating slowly, eating enough protein and veggies, learning to recognize your own body’s satiety signals, keeping it simple are all great habits you can pick from this diet, and keep them for life. If you’re overweight because of systematically consuming a surplus of calories coming from processed carbs, the slow carb diet can be an excellent starting point in your weight loss journey. The staples of the diet are all very nutritious, which is why removing white carbs and restricting fruit and dairy is not likely to do any harm. For a person who has a history of overeating, not controlling your portion sizes is a two-edged sword – on one hand, the allowed foods will generally make you feel full at a smaller amount of calories than processed junk, so that kind of freedom might be liberating, but, on the other hand, if you are a big eater, it’s still definitely possible to overeat on “good” foods and exceed your energy needs by a lot. Getting from eating junk 7 days of the week to having a cheat day once per week is definitely an improvement, that’s for sure. However, if your goal is to lose weight, cheating can definitely undo much of your progress, and slow your weight loss down. Think about it – if you’re eating sensibly 6 days of the week, and if by trusting your natural hunger cues you end up consuming around 1800 calories per day (while your maintenance is, for example, around 2100), having a cheat day where you eat 3500 calories will more or less erase your efforts from the other 6 days. Not very motivating, right? Weight loss usually includes some level of hunger and discomfort. Which definitely doesn’t mean that you need to be hungry all the time in order to lose weight – but if you’re eating whole, natural foods, and if you’re eating them to satiety, you might have an easier time maintaining your current weight, rather than losing fat. If you have a lot to lose and are coming from a background of systematic overeating on hyper-palpable foods, the slow carb diet might be a great improvement for you, and might help you lose a lot of weight in the beginning. However, your body has a natural tendency to resist to change, so at some point you’ll likely reach a plateau and might need to mix things up (or switch to another diet, such as keto, for example) in order to restart weight loss. Someone wishing to lose the last bit of fluff in order to look very fit and lean (typically referred to as “the last 5/10 pounds”), might not have much success with that on a diet that doesn’t rely on tracking macros and making sure you’re staying in a deficit. Although this might be seen as a positive point. Some people do better on restrictive diets, other feel best when they have plenty of choices available to them and limiting the quantities. This is a matter of personal preference. Again, this is not necessarily a bad thing, as food doesn’t need to be entertaining, especially if your goal is weight loss. However, eating the same things over and over again might not be very appealing to some people. The slow carb diet will most likely be lower in carbs than the standard American diet, as it limits major sources of carbs, such as wheat, rice, sugar and all desserts, fruits, and soda. It still won’t be nearly as low as keto, though, as one of its staples are legumes and beans. 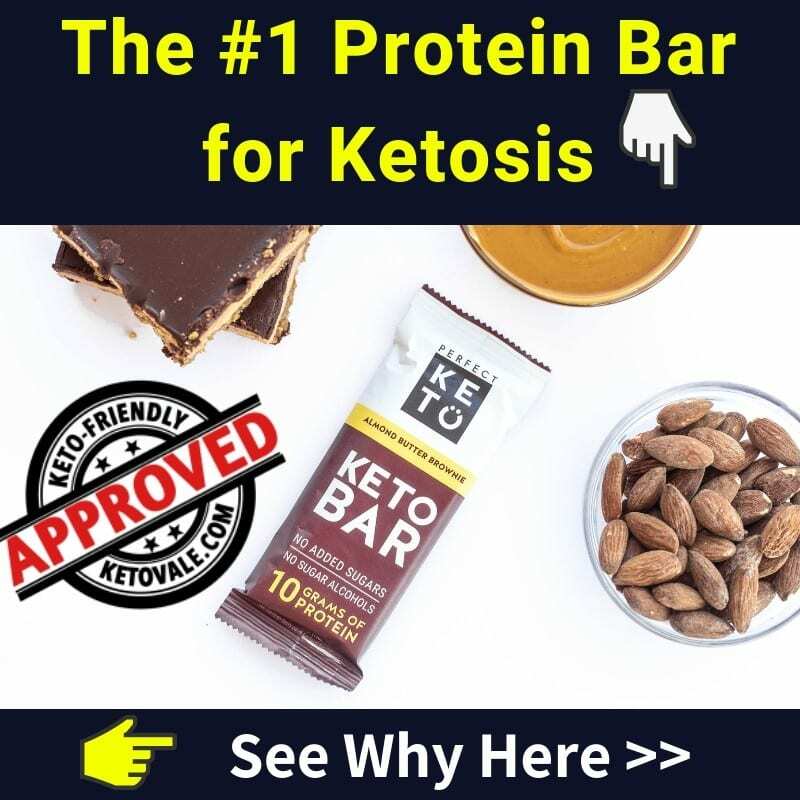 When it comes to strictness, keto is much more harder to follow as there is a certain list of foods you should eat and avoid. You also need to follow your macros closely to achieve success with keto. 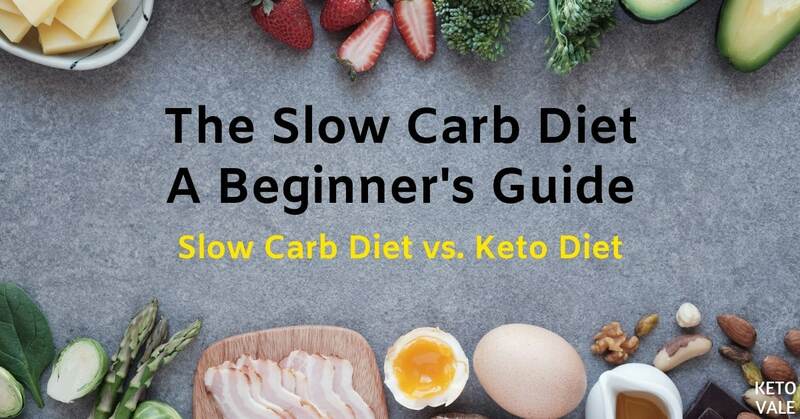 On the slow carb diet you don’t need to track macros, but on keto it’s essential to do it, especially in the beginning, in order to make sure that you’re staying under your carbs and calories, and that you’re eating adequate protein. 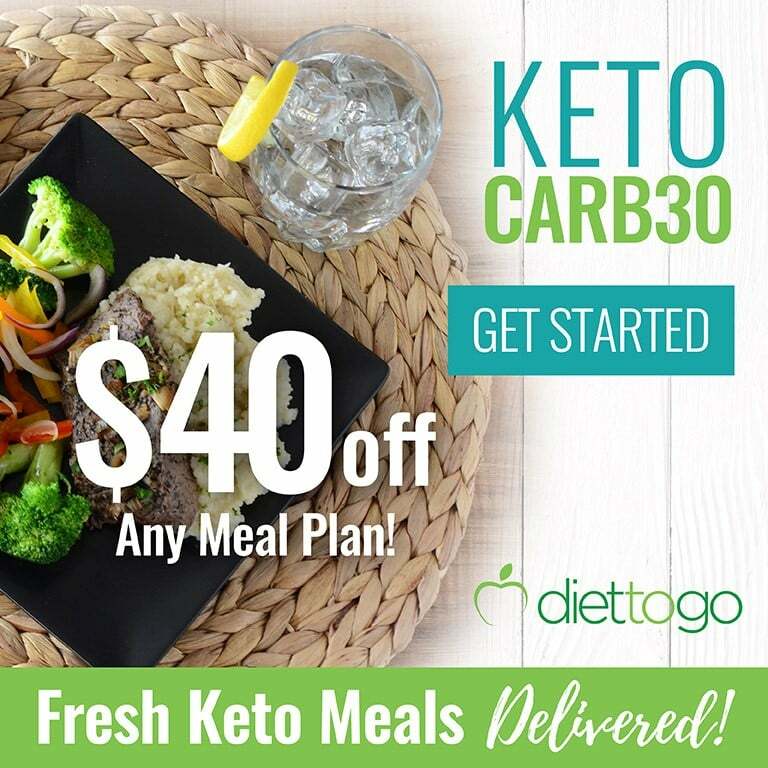 As far as protein is concerned, the slow carb diet will likely include sufficient amounts of it, as it includes generous amounts of meat, poultry, fish, and eggs – and the same is true for keto (although on keto you are actively tracking it to make sure it’s on point). Regarding weight loss, you’d likely have more success with it on a keto plan, as it naturally helps control hunger and you’re tracking your macros and calories, so you know precisely where you stand in terms of nutrition. The slow carb diet might still be a good starting point from someone coming from the standard American diet. 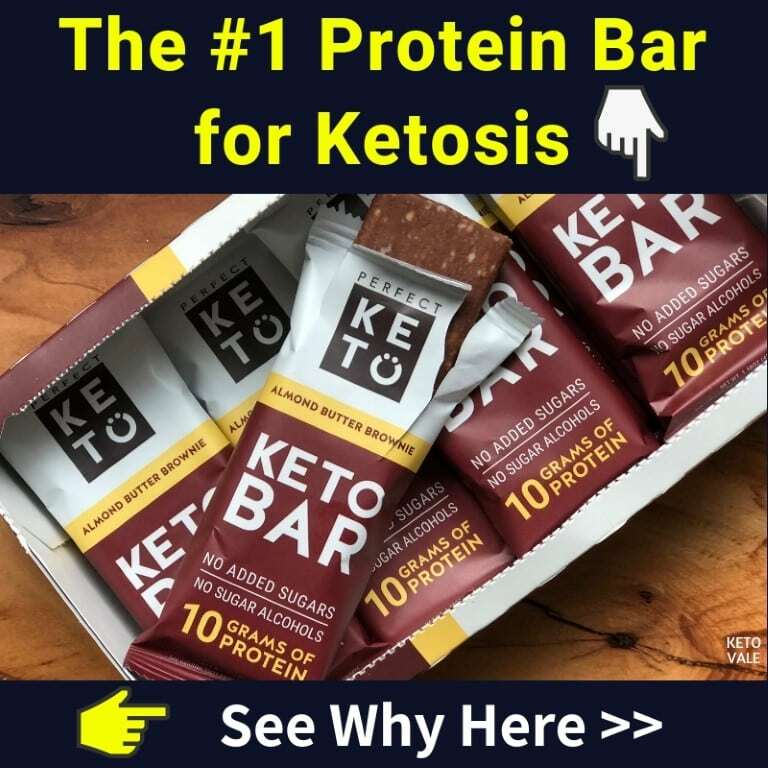 There isn’t the notion of planned cheating on keto and it’s not a part of the lifestyle. A low carb diet can mean many things, and there isn’t a clear definition of what it is and isn’t. It’s generally a diet where you consume less than 100 g net carbs per day, although the exact number will vary. 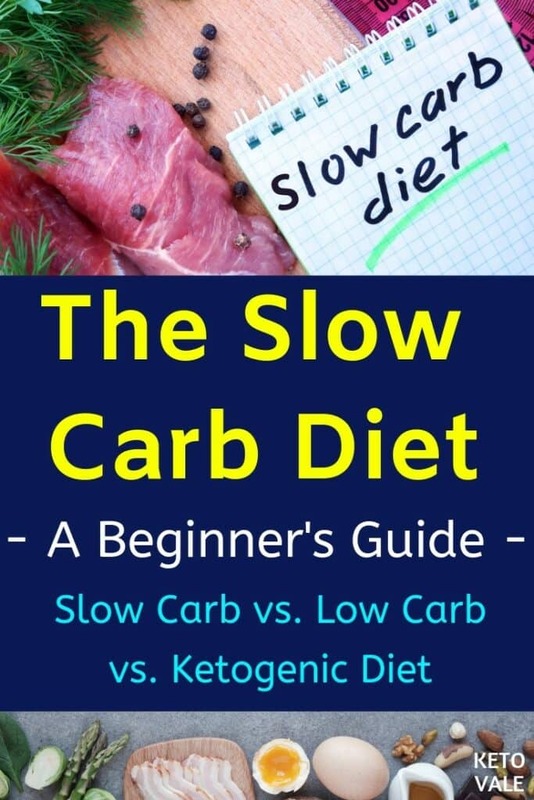 The slow carb diet is somewhat similar to a low carb one, and the allowed and restricted foods are mostly overlapping; a low carb diet might actually be less restrictive, given that you might still decide to eat small amounts of fruit and dairy on it. Legumes might make a part of a low carb diet, but definitely won’t be a staple, as they can be rather high in carbs. Many people decide to track their food on a low carb diet for optimal results. On the slow carb diet, you’re encouraged to eat to satiety without tracking macros or calories. Paleo and the slow carb diet share many of the allowed and restricted foods, with a few major differences – on paleo, no legumes and diet soda are allowed, while seasonal fruit can still be enjoyed in moderation. White carbs are a no-no on both diets. There aren’t cheat days on paleo (at least not by definition), and tracking is a personal choice. Both diets are relying on whole, natural foods, but paleo still leaves some room for enjoying paleo-friendly sweets. Both diets are relatively restrictive in their principles, the slow carb diet arguably being more restrictive than paleo. 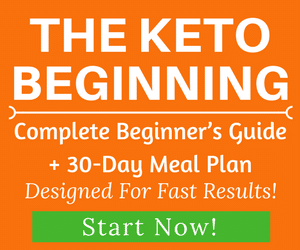 You can also read this keto vs paleo guide for further information. The slow carb diet has a few simple principles and a comprehensive list of allowed and restricted foods, which makes it easy to follow and to stick to in the long run. Its core ideas make a lot of sense and for someone who is new to dieting altogether they might prove to be an excellent starting point. As eating to satiety is encouraged, the slow carb diet might be a better option for weight maintenance rather than for weight loss, although people who come from a diet heavy on processed junk food might still be very successful with losing weight on it. If you’re already at maintenance calories, this diet (or a similar one) might be a good option to consider. Although carbs are still present in the diet (in the form of legumes and vegetables, the so-called “slow carbs”), most high-carb foods are restricted, which makes it lower in carbs than the standard American diet. Cheating (once per week) is actually encouraged, so you could still eat carb-heavy foods on your cheat day, and possibly undermine your progress, if you eat way above your caloric needs, so proceed with caution with systematic cheat days. Overall, the slow carb diet, although very new, has its merits and possible advantages, and might be a good way to ensure that you’re eating healthy and nutritious food.